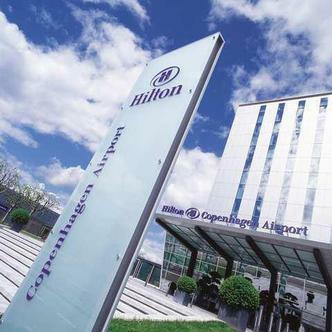 Connected to Terminal 3 by a covered walkway, the Hilton Copenhagen Airport hotel is just 15 minutes from the city center. Business is a pleasure with 29 meeting rooms for 4-450, 2 business centers, an Executive Lounge and wireless internet access throughout. With 2 Scandinavian restaurants, a bar and well-equipped fitness center, there's plenty to keep you occupied at the hotel. It's only 1.5 miles to the beach and just 7 miles to Copenhagen attractions like Nyhavn and Tivoli Gardens. Try Danish specialties at Hamlet Nordic Grill, choose buffet dining at Horizon All Day, or relax at the Hilton Copenhagen Airport hotel's Axis Lounge. All Hilton Copenhagen Airport hotel rooms, from Deluxe Rooms up, have wireless internet access. Stay in an Executive Room for Executive Lounge access.